Curbing inflation has historically been one of the chief issues regarding Latin American economic agenda. In countries such as Brazil and Argentina, one can experience a never-ending struggle of conflicting conceptions about the best way to conduct the economy and to keep market liquidity under manageable conditions. In both countries, governments that successfully shrunk inflation had to cajole sundry stakeholders in order to settle the appropriate political scenario to implement their liberal-oriented stabilization plans. Even though they had to face grim political support at Congress and, in the case of Brazil, a hectic multi-partisan system, President Fernando Henrique Cardoso and his Argentine counterpart, Carlos Menem, were able to successfully gather the support they needed to achieve their economic objectives. This was made possible due to their leadership skills, through which they overcame the opprobrium their stabilization plans generated among myriad political sectors. Taking this scenario into account, Yonca Özdemir, a professor at the Middle East Technical University, Northern Cyprus, wrote a thorough analysis on the political conditions that enabled the effective control of inflation in Brazil and in Argentina in the 1990’s. 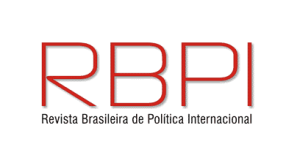 In her paper “Political Conditions for Successful Inflation Stabilization: Comparing Brazil and Argentina”, which was recently published in the Brazilian Journal of International Politics – RBPI, she argues that stabilization in Brazil and Argentina was only possible due to the political support from broad sections of both societies. 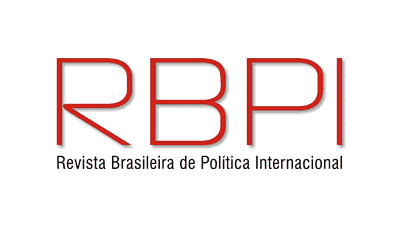 With regards to the aforementioned subject, Professor Özdemir was interviewed by Leonardo C. Bandarra, a member of the editorial team of the RBPI and master candidate at the Institute of International Relations at Universidade de Brasilia. 1. In your paper, you argue that achieving economic stability is a twofold process: it assumes having both the right policies and the skills needed to convince sundry political groups to support these policies. This hypothesis was corroborated by the cases of Brazil and Argentina under Fernando Henrique Cardoso and Carlos Menem, respectively. Do you believe, therefore, that strong presidential leadership is the utmost factor when managing the economy? Right. In my paper I argue that the “political skills” of the political leaders is the utmost factor for resolving the chronic inflation problem since preparing a technically proper disinflationary program is not a very difficult task. The implementation of a disinflationary program is politically unpopular and this unpopularity may end the implementation before stabilization is achieved, so the politics of disinflation becomes the critical factor. A skillful political leader may resolve this dilemma. When I say “politically skillful,” it doesn’t necessarily mean a “strong president” per se with high autonomy and high decree powers; neither it means one who enjoys a strong majority in the legislature or a unified government. Rather, a skillful president is the one who can reconcile the interests of different stakeholders and build a wide support among the society for the disinflationary program. Getting the support of the lower echelons of the society is particularly important as they constitute the largest section of the society and they are most distrustful of stabilization. The political leadership has to be responsive to such social groups who will be affected by the economic reforms and make bargains with and give concessions to create broad support for the disinflationary program. Of course, the program has to be designed in a way that would not inhibit such support and it has to give quick positive results to maintain the support. 2. In the light of the knowledge gathered from your historical analysis, how would you characterize the current efforts done by President Dilma Rousseff and by her finance minister, Joaquim Levy, in order to reduce the inflation rates? First of all, although it has increased a bit in the recent years, the inflation in Brazil is nothing compared to the pre-stabilization levels of annual inflation rates with four digits. Therefore, I think the worries over current inflation are exaggerated. Having said that, I have to acknowledge that there are serious economic problems, especially regarding the growth rate and the current account deficit. It would not be wrong to characterize President Dilma Rousseff as a leader with inadequate political skills, unlike her precedents Cardoso and Lula. Cardoso and Lula were able to build a wide political support among the public for their economic policies. However, now that support base is dissolving. Of course, it has been a serious disadvantage for President Rousseff that the world commodity boom and other favorable global economic conditions are over, due to the global economic crisis. Also, the recent Petrobras corruption scandal is making things politically worse for her. Consequently, President Rousseff has been losing the support of the masses. People are on streets frequently. Instead of responding to the demands of various social groups effectively and negotiating with them to maintain political support, she has appointed an orthodox finance minister, Joaquim Levy. 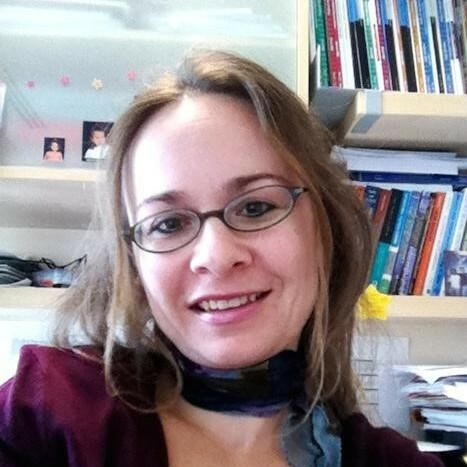 Levy is a Chicago trained economist who had previously worked with the IMF and European Central Bank. He is known to be a “fiscal hawk” and is already trying to curb public deficits through spending cuts. He is basically responding to the demands of the markets and investors (or even IMF). However, he would not gain the support of the masses in that way; instead, he would make them even more furious through his orthodox economic policies. It looks to me that Rousseff has chosen him to implement some pending difficult economic policies for the purpose of preserving Brazil’s investment grade credit ratings. He could be successful if Rousseff was more politically skillful in terms of building political support for these policies. However, as I have emphasized in my paper, critical economic policies which do not enjoy a wide public support are doomed to fail. Rousseff doesn’t even enjoy adequate support in the legislature. Mr. Levy is not even popular among the members of the President’s party, PT! She has low approval ratings. It doesn’t look like she will be able to build a wide political support for austerity. On the contrary, rising utility prices and increasing unemployment will cause more people to protest in the streets. Even some businesses will be “unhappy” because of higher interest rates and cuts in subsidies. These kinds of policies may be necessary, but they need to be discussed and negotiated with the stakeholders and it doesn’t look like the President or her new minister Mr. Levy are doing that. In other words, they are repeating the old mistakes: trying to implement austerity without political support. 3. With regards to Argentina, which were, in your opinion, the main political factors that contributed to further deteriorate their economy in recent years? Is the Argentine crisis manageable? There is a similar situation in Argentina. The economic conditions have severely worsened since the global economic crisis. During the global economic boom period of 2003-2007, it was easy to grow the economy and increase public spending, thus remaining politically popular. However, the tide has sharply turned because of the global crisis. To make things worse, as a continuation of its disastrous 2001 crisis, Argentina again defaulted on its debt last year; this time more for legal reasons rather than financial reasons. It is obvious that with no growth, rising inflation (about 40% by the end of 2014), and falling currency, the Argentine economy is not doing well at all. At the same time, President Cristina Fernandez does not enjoy high political support. The previous president, her husband Nestor Kirchner, was quite popular and much more politically skillful. Using a quite nationalistic and anti-IMF political tone, and with the help of booming global economic conditions, Kirchner was able to grow the economy well. With the help of increased tax revenues from agricultural exports due to the high commodity prices, Kirchner was able to increase public spending, which added to his popularity. Yet, his wife was not as lucky. In order preserve political popularity, Fernandez continued to increase spending and increasingly intervened in the markets in vain. You simply cannot continue with high public spending during tougher economic conditions. If you do so, it is exactly what you get in today’s Argentina: deficits and high inflation. Just like in Brazil, the time has come for Argentina to apply tighter economic policies. However, again like Brazil, the President lacks the wide political support she needs to apply such policies. Even the labor organizations that are the most important support base of her party have started to strike. Unlike the Brazilian president who is recently re-elected, Fernandez has less than a month left at office. Therefore, I think she will avoid any politically unpopular economic policy until she leaves office, and thus, austerity will be delayed until the new government takes office. Therefore, I don’t expect the economic problems in Argentina to be handled very soon. Yet, for the new government to successfully stabilize the economy, there will be again a need for a skillful political leadership. 4. In recent years, we have experienced the revival of the debate between the proponents of economic orthodoxy, which implies balanced public budget and money restriction in order to curb inflation, and economic heterodoxy, which argues that economic growth and demand-oriented policies are more important than tax hike. This debate is particularly important in what concerns today’s crises in Greece and in Argentina. Do you believe that orthodox ideals (i.e. the liberal ones) are the best way to manage the economy? It is difficult to argue that orthodox economic policies are always bad/good or orthodox policies are always bad/good. There have been some countries which have had successful socio-economic performance through orthodox policies during certain times, and there are also examples of successful socio-economic performance through heterodox policies. As you may have noticed, I did not just say “economic performance,” because good economic performance does not necessarily mean that everybody benefits from that performance. The benefits of a good economic performance should be distributed somehow justly in the society. This is the only way to have a stable country in the long run, both in economic and political terms. I would not consider orthodox economic principles to be particularly successful in that respect, since they tend to deepen the inequalities in society. We have seen some countries, e.g. Argentina, which faithfully applied neoliberal policies but then fell into deeper crisis. Yet, there are also many countries which benefited from tight fiscal and monetary policies. I think there should be a balance. That balance can be better achieved with heterodox policies, especially if prudent fiscal spending and monetary policy are maintained. Especially fiscal laxity has proven to be catastrophic, as we have seen not only in Latin America but also in Greece. Heterodox policies are more capable of building wide political support since they tend to consider wider sections of the society. However, I do not want to give the impression that everything is in the hands of individual governments and they can choose any policy as they see fit. Usually global economic conditions (and also global economic institutions) dictate what states can or cannot do. As we have seen in both Brazilian and Argentine cases, policies that work well during global boom times can prove to be disaster-prone during crisis times. Therefore, sometimes austerity (very orthodox policies) can be inescapable. However, it should be temporary and implemented with wide political support of the society in order create really successful results. Today in Greece we witness a government’s struggle to come out of a severe crisis with a dose of austerity which is acceptable to the large segments of the society, but unfortunately it is not a very heartening example.